According to calculations and estimates of the scientists behind the recently deployed Transiting Exoplanet Survey Satellite, this space telescope can identify 10,000 exoplanets during the primary two-year mission. In a publication the astronomers report that the 10,000 exoplanets about 3500 planets have a size that is comparable or smaller than Neptune. Finding exoplanets of this format is the primary goal of TESS; these discoveries can help scientists better understand how small rocky planets are formed. The scientists state that an additional 2,000 additional planets can be discovered for each additional year for an extension of the two-year mission. The new estimate of 10,000 exoplanets is partly based on the data from Gaia, a spacecraft from ESA that is very precise mapped the position and distances of 1.5 billion stars in the Melkweg. The data of Gaia is useful for TESS, because that data in combination with the perceived brightness yields information about the size of the objects. 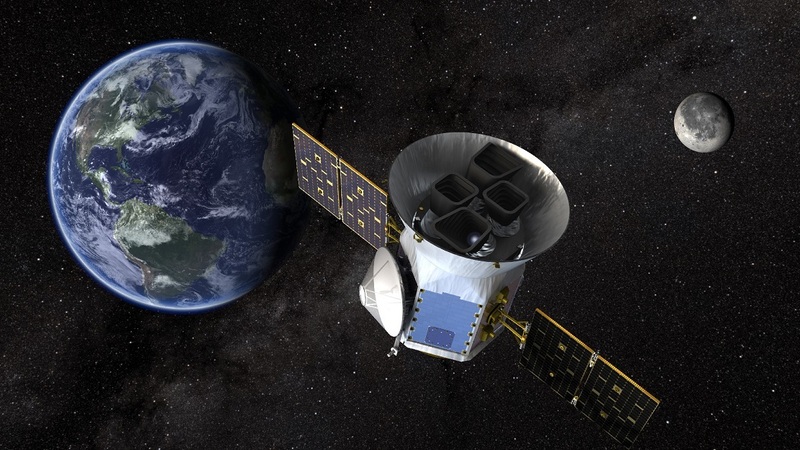 Because the distance to the many stars is precisely known, TESS instruments can also be adjusted better. This may help to find perhaps 50 relatively small, earthy exoplanets. TESS has recently started the search for exoplanets and the first data is expected this week. The satellite has four wide-angle cameras and has to observe a total of 85 percent of the visible space. That is considerably more than the Kepler satellite, the predecessor of TESS. The exploration of the exoplanets goes through the transit method, looking at a small dip in the brightness of stars. If that is the case, it may indicate a planet passing by for the star.